Available by commission only this tree bookshelf is a real giant. The standard recommended (and shown) size measures nearly 4 meters wide and 2.3m high. 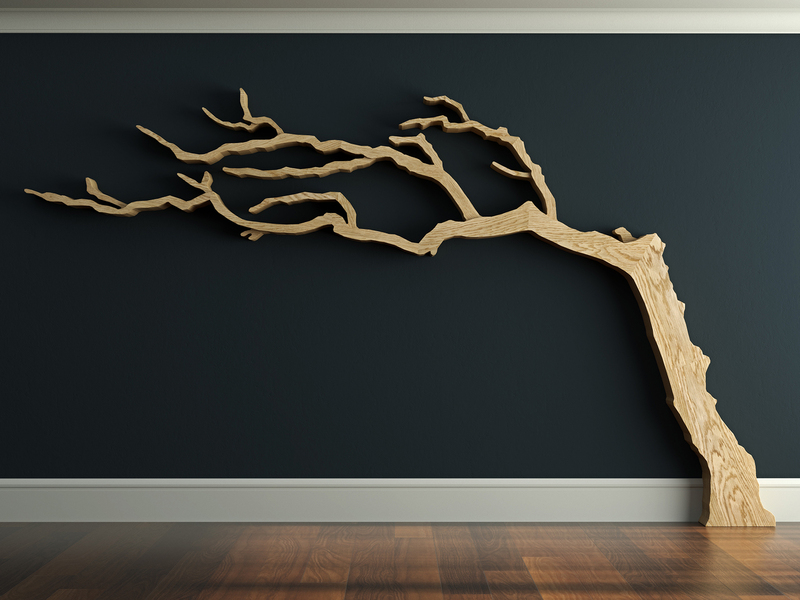 Our Cornish Windswept Tree Shelf offers the largest, lower branch clearance of all our tree shelves. The size shown offers 1.4m up to the lowest branch so this tree will provide ample clearance over existing furniture items. The trunk of this tree bears incredible life like scale, here measuring 340mm wide at its base! 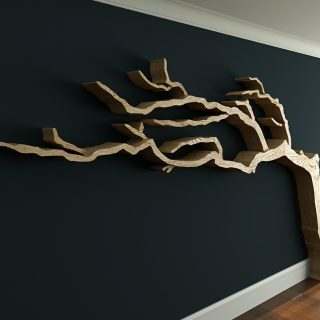 We can scale the size of this tree proportionally to almost any size that will suit your space. 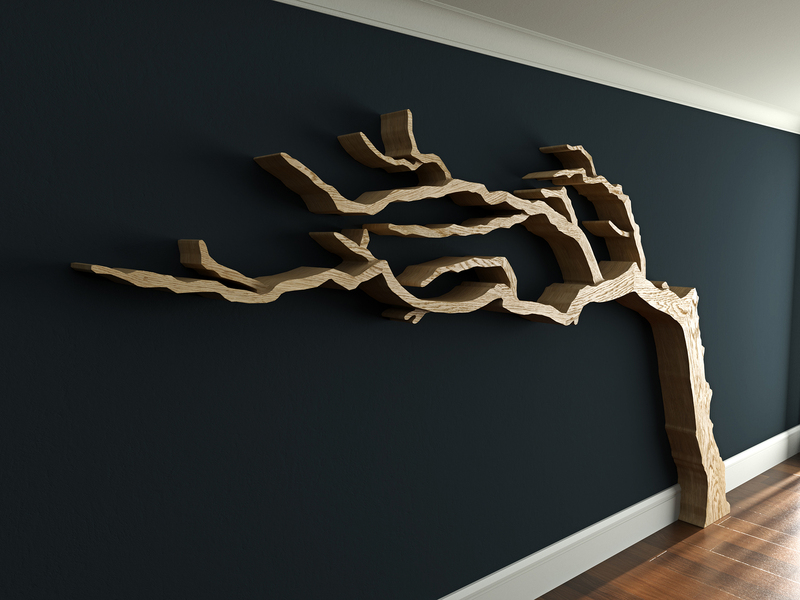 This tree bookshelf design is inspired by our love for the form that can be found in windswept trees. This one can be found in the harsh environment of the Cornish countryside. Our new method of layered tree shelf building building allows us to add high levels of detail and shape to the tree shelf that we have previously been unable to achieve. 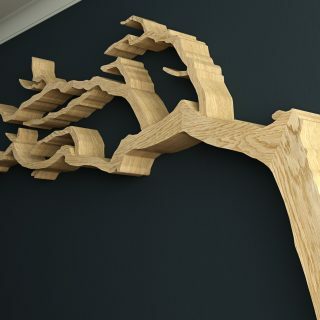 We decided to push the boundaries with this design resulting in our largest most detailed standard tree bookcase to date. 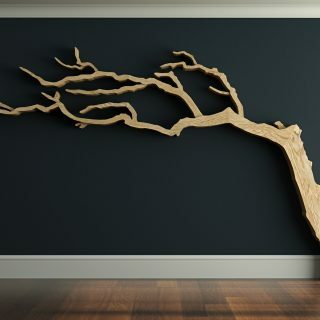 Natural thinning of the branches, curves and form of the tree are recreated with incredible accuracy. The entire tree slots together meaning there are no screws on display. Wall fixings are also designed into the tree meaning that there are no visible fixing points once the tree is installed. 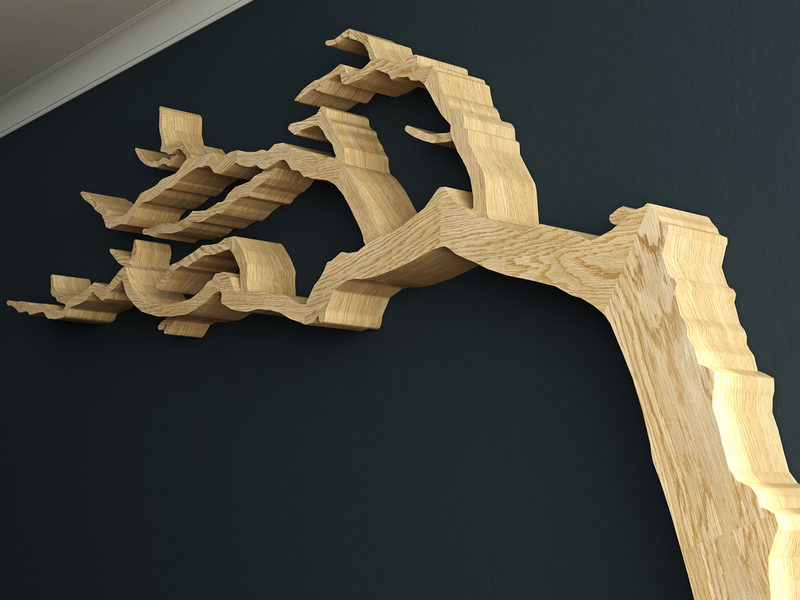 The tree shelf is CNC cut, hand assembled and finished in our workshops in the Cotswolds. Each component of the tree is CNC engraved to ensure clear part labelling. Worldwide shipping is available on this design.